There were some rather intriguing series this weekend in Canada West women's hockey action with the potential for all sorts of movement depending on results. With this week being the final week before the conference bye and with nearly one-third of the games being played, we're looking for teams to emerge out of the pack as front-runners for the Canada West championship. Alberta looks strong, UBC is playing well, Saskatchewan is using strong defence and goaltending to keep pace, and Manitoba returned to its winning ways last weekend after faltering, so the usual suspects were looking to create some space among themselves and from the rest of Canada West. However, Regina and Mount Royal have been playing some solid hockey while Lethbridge and Calgary need to start posting wins to remain in the hunt. What happened this week? Let's get rolling here on The Rundown! ALBERTA at UBC: These two Canada West semifinalists met in Vancouver for an early Friday game as the Thunderbirds played host to a number of school children. It actually was cool to see the stands packed in the mid-afternoon at Doug Mitchell Thunderbird Sports Centre, so kudos to the T-Birds for bringing the kids in for a little fun on a late October Friday between two rivals in Canada West! The kids in the stands only had to wait ten minutes before they could let their screams of joy be heard. Hannah Clayton-Carroll got around Taylor Kezama on the outside on the left wing and centered the puck to a streaking Emily Costales who chipped it past Dayna Owen at 9:26, and the Thunderbirds held the 1-0 lead! The Pandas would even the game at 1-1 late in the period when Autumn MacDougall's shot from a sharp angle was stopped by Amelia Boughn, but the rebound landed out at the top of the crease where Alex Gowie swept it home for the Pandas at 18:29 to put this game back on even terms. The second period saw the stalemate continue as both Boughn and Owen rejected all shots sent their ways. Well, Owen did a lot more rejecting as UBC outshot the Pandas 10-2 in the frame as they poured on the pressure during a couple of power-play chances. With nothing changed through 40 minutes, we'd move to the third period. It seemed the two teams weren't going to score another goal with how the netminders were playing, but an Alberta power-play changed that midway through the period. Kennedy Ganser's spin-around shot from the slot fooled Boughn at 11:15, and the power-play marker put the Pandas ahead 2-1. 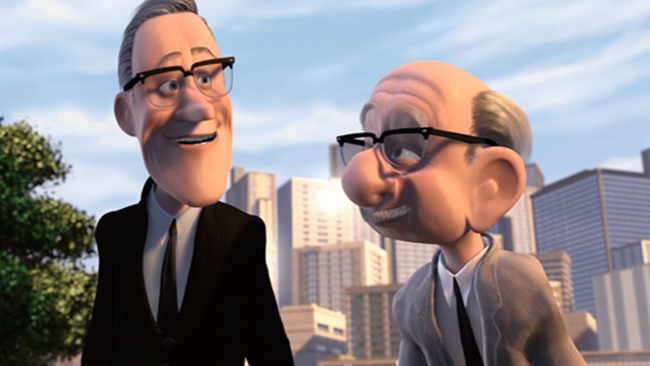 The Thunderbirds would battle back, though, and find an equalizer two minutes. Ireland Perrott collided with a Pandas defender who poke-checked the puck off her stick, allowing Brie Bellerive to pick up the loose puck where she walked in and went high glove-side on Owen at 13:24 to make it a 2-2 hockey game! Both goalies would shake off those goals to keep the remaining shots out of the net, so we were off for some free hockey on this afternoon! In the four-on-four overtime period, there were chances, but nothing came of them. In the three-on-three overtime period, there chances, including a breakaway by Kenzie Robinson that was denied by Owen, but nothing came of them. With no scoring through overtime, the kids in attendance got to see the skills competition! Alberta's Alex Poznikoff and UBC's Mathea Fischer were unsuccessful in Round One. Alberta's Ganser and UBC's Bellerive - both of whom has goals in this game - were denied in Round Two. UBC's Emma Hall would be stopped by Dayna Owen in Round Three, but Alberta's Amy Boucher would use a nice deke and a shot over the left pad to bring the shootout to an end as the Alberta Pandas claimed victory with the 3-2 score! Owen stopped 16 shots, plus three in the shootout, for the win while Boughn stopped 24 shots, but only two of three in the shootout, as she took the loss. ALBERTA at UBC: After an exciting game one afternoon earlier, the rematch went Saturday. The pace started off a little slower than one day earlier, but both Alberta's Kirsten Chamberlin and UBC's Tory Micklash looked sharp early on. However, that calm would soon be disrupted by the Pandas late in the period. Amy Boucher fed a perfect pass over to Hannah Olenyk on a 2-on-1, and Olenyk one-timed the offering past Micklash's outstretched glove for the 1-0 Alberta lead at 17:54. It appeared that UBC had a chance to erase that deficit with a late Alberta penalty, but it would be Alberta's penalty killers who capitalized when sniper Alex Poznikoff picked up a turnover, went down the ice on a partial breakway, and deked backhand to forehand to open up Micklash before tucking the puck between her pads for the shorthanded goal to make it 2-0 for Alberta at 19:47! At the end of the first, Alberta ruled on the scoreboard and led 13-3 in shots! The second period saw the teams trade five-on-three power-play opportunities, but neither side could solve the opposing penalty-killing units. Ireland Perrott was given the final 27 minutes of the game off after she was flagged for checking a Pandas player from behind, so UBC would lose one of their more productive forwards. Despite all the action, Chamberlin and Micklash were perfect in the middle frame as the 2-0 score held. The score would remain intact for the majority of the third period as UBC did everything in their power to rally back. 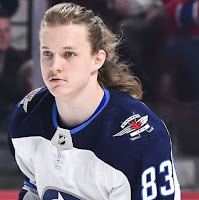 Alberta continued to pepper Micklash with shots throughout the period, but the only one that mattered was the one that was taken while Micklash was on the bench late in the game. Alex Poznikoff hit the empty net at 19:02 to ice this game as Alberta prevailed 3-0. Chamberlin recorded her third win and second shutout of the season in turning aside all 15 shots she faced while Micklash suffered her first loss of the season despite stopping 27 shots. SASKATCHEWAN at REGINA: The first leg of the home-and-home series between the two Saskatchewan based teams went in Regina on Friday night, and both teams had something to play for as Saskatchewan needed to keep pace with Alberta and UBC while Regina was looking to leap-frog Manitoba into fourth-place with the Bisons idle on Friday. Things started well for the home side as Jordan Kulbida hit Jaycee Magwood with a pass, and the Cougars sniper fought off a couple of Huskies defenders to zip a low shot past Jasey Book to put the home side up 1-0 just 1:28 into the game! Regina wasn't done there, though, as Ireland South finally tossed the 800-pound gorilla off her back when she grabbed a loose puck off a turnover, went in on Book, and beat the netminder with a backhander for her first-career Canada West goal after 35 games of action at 3:17 to make it 2-0 for Regina! After that flurry of activity three minutes in, the remainder of the game saw the two teams engage in a more physical contest than one is used to seeing in women's hockey. Most of the offensive chances came on the combined eleven power-plays through the remaining 56:43 of play, but Book would allow no other goals while Morgan Baker turned away all Saskatchewan attempts. When the final horn sounded, those two early Regina goals were the difference as the Cougars won 2-0! Baker stopped 19 shots for her first win and first shutout of the season while Book suffered her first loss of the season in an 18-save performance. REGINA at SASKATCHEWAN: The Huskies and Cougars would reconvene the following night at Merlis Belsher Place in Saskatoon. Jessica Vance took the net for Saskatchewan while Morgan Baker looked to continue her perfect ways against the Huskies. The two teams played a less physical first period than the final two periods in Regina, but the Cougars would see themselves in a bit of trouble midway through the period when Elise Endicott and Shaelynn Vallotton were whistled for bodychecking less than two minutes apart. The Huskies used that five-on-three advantage to finally break Baker's shutout of a game plus twelve minutes when Chloe Smith pounced on a loose puck off a blocked Leah Bohlken shot, burying the power-play goal at 12:38 to put the Huskies out in front 1-0! Baker was solid once again despite letting in a goal as the Huskies built a 13-3 lead in shots, but the 1-0 score was the only count that mattered after 20 minutes. If head coach Sarah Hodges was looking for more out her club in the second period, the Cougars certainly responded. Several solid chances were denied by Vance throughout the period as the Cougars took control of the game, and final tally on the shot counter read 19-19 after the Cougars outshot Saskatchewan 16-6 in the frame. The only problem? The score remained 1-0 for the Huskies! An early bodychecking call on Nikki Watters-Mathes in the third period was the motivation that Saskatchewan needed to double their lead. Bailee Bourassa dented the iron with a shot as it seemed Saskatchewan had scored, but, after moving the puck for another open look, Leah Bohlken made it a no-doubter as she fired a shot clean past Baker on the power-play at 4:11 to make it 2-0 for the Huskies! Regina continued to press as they searched for an equalizer, but Jessica Vance was simply unflappable. Despite launching another 16 shots on her in this period, the Cougars came away empty-handed as the Saskatchewan Huskies took the second-half of the series on home ice by a 2-0 score! Vance was perfect in stopping all 35 shots she faced for her fourth win and second shutout while Baker stopped 25 shots in the loss. LETHBRIDGE at CALGARY: Two teams who have struggled to score goals met in Calgary on Friday as the Pronghorns visited the Dinos in the first-half of this home-and-home series. Calgary has scored just four times in six games while the Pronghorns have just seven goals in six games. Would we see an explosion of goals for these two clubs? One team would find their goal-scoring touch on this night. After hitting the post early on in the game, the Pronghorns went to work midway through the period while on a five-on-three power-play. Mackenzie Gal hit Mikaela Reay with a pass, and Reay found Tricia Van Vaerenbergh on the doorstep. Van Vaerenbergh had no trouble scoring past Kelsey Roberts from that distance as the power-play marker made it 1-0 for Lethbridge at the 12:47 mark! Lethbridge missed out on a couple more power-play opportunities later in the frame, and we'd head to the intermission tied 8-8 in shots and Lethbridge leading 1-0. The second period started quickly as Alli Borrow beat a down-and-out Roberts on a second rebound off Kyra Greig's shot to make it 2-0 for Lethbridge just 2:16 into the period. With Sara Craven watching from the sin bin after being caught for boarding, Alli Borrow put on a bit of a show while on the power-play. Off a drop pass from Van Vaerenbergh just inside the line, Borrow pulled off a spectacular toe-drag to find an angle past a defender, and then went high over the glove of Roberts for a magnificent power-play goal at 5:57 for the 3-0 Pronghorns lead! As an aside, you what would make this recap better? A highlight of the above goal. Why is it so hard for Canada West schools to generate highlights to showcase their athletes? I ponder this question often. Anyway, back to the recap. The third Lethbridge goal seemed to wake Calgary up as they began to control the game through possession, but shots were still few and far between for the home side. The shots that did get to Alicia Anderson in the Lethbridge net were handled fairly easily. At the end of the second period, Lethbridge held the edge in shots with a 22-13 advantage and a 3-0 advantage on the scoreboard. The third period saw Calgary carry its momentum through the intermission as they continued to carry the play in the final frame. They hit a goal post, they were thwarted by a couple of key saves by Anderson, and the Lethbridge defence took care of any rebounds left behind. With some five minutes left in the game, Kelsey Roberts went to the bench for the extra attacker, and Lethbridge put any doubt of this win away with a Tricia Van Vaerenbergh empty-net goal at 16:41 as Lethbridge took the first game of this weekend series by a 4-0 score. Anderson recorded her third win and third shutout of the season in stopping all 20 Calgary shots while Roberts fell to a 0-5-1 on a 22-save night. 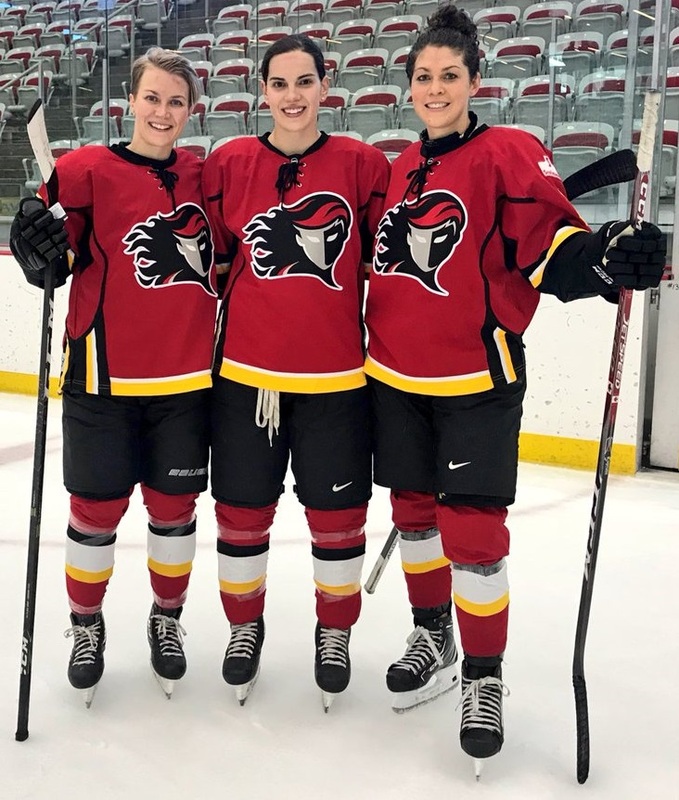 CALGARY at LETHBRIDGE: The two netminders from one night earlier would get the call in the second game of the home-and-home series as Kelsey Roberts and Alicia Anderson faced off on Saturday night. Calgary desperately needed a goal of any type to prevent being shut out in four-straight games while Lethbridge was looking to hit double-digits in points prior to the conference bye. Both teams opened the game looking to get on the scoreboard in a hurry as shots came early and often. Each team would be unsuccessful on a power-play opportunity that saw good chances created, but the opening period would remain tied at 0-0 despite Lethbridge having a slight edge in shots at 14-13. The second period was more of the same as Kelsey Roberts stoned the Pronghorns while Alicia Anderson continued her perfect play against the Dinos. It seemed as though the Pronghorns were about to take the lead late in the period, but Roberts pulled off some sort of voodoo or black magic to absolutely rob Alli Borrow of what seemed like a sure goal. Moments later, Delaney Frey had a chance against Anderson as she cut to the net, but her shot found nothing but the post behind Anderson as this game went to the third period tied 0-0 on the scoreboard and 24-24 in shots. Lethbridge finally broke the stalemate when Jordan Doram scored her first-ever Canada West goal off a Jodi Gentile rebound in front of the net at 4:55 to put the Pronghorns out in front! Both teams would continue to push for goals, but the two netminders had no interest in helping the other team's offence. Roberts went to the bench with 1:20 to play, but Calgary was unable to find a seam on Alicia Anderson as the Pronghorns emerged victorious with the 1-0 score! Anderson recorded her second-straight shutout over the Dinos with her 32 saves while Roberts suffered another loss despite making 30 saves on this night. MOUNT ROYAL at MANITOBA: In a rare Saturday-Sunday weekend series, the Cougars traveled to Winnipeg to meet the Bisons. In holding games in-hand, both teams knew that wins, especially wins in regulation time, were vitally important to their own standings. Both teams seemed to know what they had to do as scoring chances were plentiful in the opening period. Goal posts and great saves kept things scoreless through most of the period, but Manitoba would capitalize on a late power-play to get on the board. Erica Rieder forced a turnover in the offensive zone as the puck was knocked off the stick of a Cougar and into the slot where Natasha Kostenko, fresh off the bench, roared into the slot and wired a puck high over Zoe De Beauville's glove for the power-play marker at 17:18, putting Manitoba up 1-0 at the first break. The second period saw the two teams press for more goals, but both Lauren Taraschuk and Zoe De Beauville continued their stellar play opposite one another. Mount Royal would finally solve Taraschuk when some good puck movement caused a defensive breakdown in front of Taraschuk. Camryn Amundson's point shot was stopped by wide-open teammate Breanne Trotter right at the top of the crease, and Trotter faked the backhand before pulling the puck to her forehand, using her reach to slide the puck around a prone Taraschuk who had bit on the backhand fake to make it a 1-1 game at 13:55! Despite all the scoring chances before and after the Mount Royal goal, this game would head to the third period tied 1-1! It seemed neither goalie would be satisfied playing just 60 minutes as both Taraschuk and De Beauville made save after save in the third period. It seemed that it would take a mistake by one team to find another goal, but I'm not sure anyone expected this mistake. Off a fairly harmless Alex Anderson shot, De Beauville made the chest save with the puck falling to the ice in front of her. As she reached out with her stick and pulled it into her pads, the puck found its way through her five-hole and trickled across the goal line for a Manitoba goal! Anderson looked stunned as the referee pointed towards her, but the goal counted as the Bisons took the 2-1 lead with 4:15 to play! De Beauville would go to the bench with 90 seconds to play, but it would be Manitoba's Émilie Massé who would send the puck the length of the ice into the yawning cage with less than a second to play for her first Canada West goal! When the dust settled, Manitoba claimed the 3-1 victory over Mount Royal! Taraschuk stopped 16 shots for her fifth win of the season while De Beauville recorded 26 shots in the loss. MOUNT ROYAL at MANITOBA: De Beauville got the call on the Sunday game for Mount Royal, but Manitoba, who had published their lineup with Taraschuk as the starter earlier in the day, decided to give rookie Erin Fargey her first Canada West start on this day. Would it pay off for the Bisons? Both teams found chances in the opening frame, but similar results were found as both De Beauville and Fargey were solid in their nets. The visitors would get a glorious opportunity at the end of the period after Lauryn Keen was whistled for a check to the head, resulting in a double-minor, but the Manitoba penalty kill was aggressive and didn't let the Cougars set up in the offensive zone for the majority of the advantage. After one period, the score was 0-0 with Manitoba holding an 8-6 edge in shots. The second period saw more chances for both sides, but the goaltenders continued to steal the spotlight. De Beauville made a couple of key saves off Jordyn Zacharias and Karissa Kirkup while Erin Fargey denied former midget hockey teammate Breanne Trotter and Mount Royal sniper Tatum Amy on chances. Through 40 minutes, it was all goaltending as the score remained 0-0 while Manitoba held a 15-9 advantage in shots. Manitoba would go to the power-play early in the third period after Tianna Ko was assessed an unsportsmanlike conduct penalty for tossing Alex Anderson's stick out of her way, but it was her Mount Royal teammate Morgan Ramsey who had the best chance on the advantage. Fargey stared down the speedy Mount Royal rookie and kept the game scoreless with a great pad save to keep this game knotted up at zeroes. However midway through the period, that stalemate score would be no more. Madison Cole's shot through traffic somehow avoided legs and bodies in front of De Beauville to zip by the Mount Royal netminder just inside the post at 10:10 of the third period, and Manitoba grabbed the 1-0 lead! Mount Royal worked to find a seam on Fargey, but the Bisons rookie held the fort. Manitoba held possession for the final few minutes in the Mount Royal end, preventing De Beauville from going to the bench. When the Cougars finally did get the puck down the ice with seconds to play, allowing De Beauville to get to the bench, the puck came right back as Alex Anderson hit the empty net with the puck to help Manitoba to the 2-0 win! Fargey was excellent in her first start, collecting her first win and first shutout in a 16-save effort while De Beauville dropped her second-straight game in a 20-save performance. There are certainly some statistical numbers starting to emerge in Canada West women's hockey, particularly for the teams near the bottom of the standings. The goal differentials sported by both the Dinos and the Mount Royal Cougars are troubling at this point in the season as both teams are struggling, yet Mount Royal has recorded wins over Alberta and Regina. If the fortunes for those teams are going to change, they need to find the opposing net more often and allow fewer goals in a hurry. For Calgary especially, four goals in eight games is a tough pill to swallow at this stage. 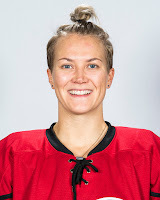 Rookie Elizabeth Lang has accounted for half of Calgary's total offensive output this season, and her goals came in Week One versus Manitoba. Calgary has a ton of talented players - Chelsea Court, Delaney Frey, Annaliese Meier, the aforementioned Lang - so seeing them with just four goals after eight games is hard to fathom. Alicia Anderson's wins-to-shutouts ratio also has to change in a hurry. Lethbridge's three wins have come on the strength of three Anderson shutouts - two of which were over the Dinos - and that's completely unsustainable for the rest of the season. Lethbridge needs Anderson to play well, of course, but they could also do well in finding the opposing net more often than they have. Alberta's everyday goaltending tandem of Dayna Owen and Kirsten Chamberlin are currently sporting a combined 5-1-0 record, a combined 0.64 GAA, and a combined .955 save percentage. 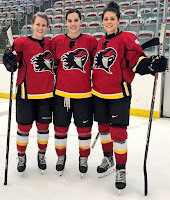 If you add in rookie Halle Oswald's numbers, the Alberta trio are 5-2-1-0 with a 0.86 GAA and a .946 save percentage to go along with four shutouts. That's four clean sheets in eight games. In other words, you better bring better-than-your A-game if you want to score on these Alberta netminders. Anderson and Calgary's Kelsey Roberts are 1-2 in shots-against thus far which tells you a lot about the defence of both Lethbridge and Calgary. Anderson has faced 235 shots while Roberts has stood in front of 234 shots. Manitoba's Lauren Taraschuk is next at 172 - 62 shots less than Roberts. It's also surprising that Taraschuk has faced one more shot than Mount Royal's Zoe De Beauville who has played 33 minutes more than Taraschuk. Of all these teams, Manitoba might be the one to worry the most about when it comes to the number of shots they're giving up. At the opposite end of the spectrum, the three Alberta goalies have faced just 130 shots in eight games - an average of 16.25 shots per game. Again, you better be at your best when the Pandas are your opponent because they simply don't give up the chances needed to beat them very often. Saskatchewan and Alberta have yet to surrender a power-play goal. Saskatchewan is perfect on 27 penalty kills while Alberta is perfect on 17 kills. Alberta has two shorthanded goals-for while Saskatchewan has one. That's some impressive penalty-killing to start the season, especially on Saskatchewan's behalf. Kudos to them in being 27-for-27 after eight games! In a special mention, Alberta Pandas head coach Howie Draper coached his 450th game in Canada West this weekend! The milestone sees Draper with a 355-88-7 record over that time which translates to a .797 points percentage. Yes, Howie Draper's team has earned points in 80% of the games the Pandas have played since he took over. That's a heckuva percentage, and it's a credit to how good Howie Draper is as a head coach! Congratulations, Coach Draper! With no games next week, we'll dive into a few stories about players as we look at some of the great people in Canada West this season. There are some new faces, some veteran players, and a few characters that deserve some spotlights, so we'll highlight them on the bye week. 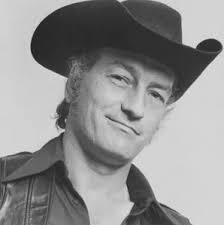 There may not be an adult in Canada who doesn't know who Stompin' Tom Connors is. It's not because he was a man of great fame or wealth. Tom Connors was neither overly famous nor was he extravagantly wealthy by any means, but his name is synonymous with hockey across this land thanks to his wildly popular tune The Hockey Song. Nearly every adult in Canada knows the opening lines of "Hello out there. We're on the air. 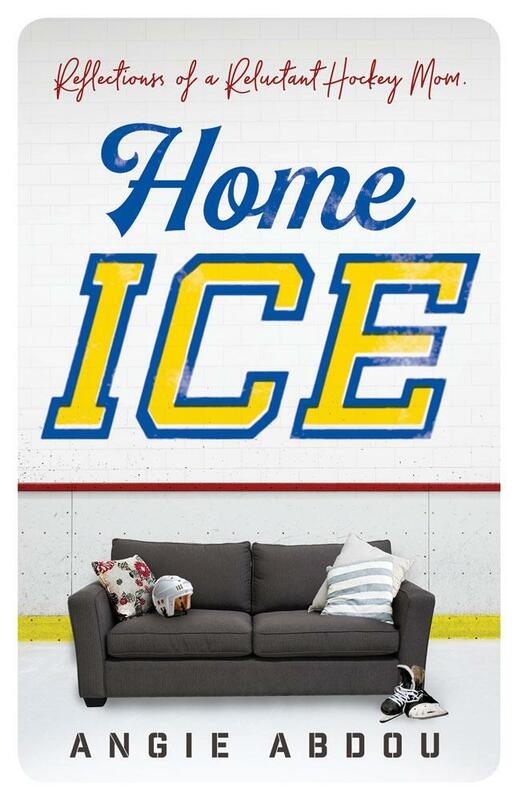 It's 'Hockey Night' tonight." I would wager that a vast number of American adult hockey fans know this song as well. It's taken a while, but The Hockey Song will finally receive some well-deserved recognition within Canadian culture when the song is inducted into the Canadian Songwriters Hall of Fame prior to the Jets-Maple Leafs game on Saturday. In a release today, the Canadian Songwriters Hall of Fame called the tune "a quintessentially Canadian song about a quintessentially Canadian game, the best-known example of Connors' unique brand of fervent nationalism. Its up-tempo style with a cowboy-booted backbeat reflected the swift pace of the game, and in Tom's typical catchy novelty-song style, his three verses corresponded to the three periods of a hockey game with each verse calling the action like a play-by-play announcer." The fact that Connors' song will be honoured five years after his death seems a little wrong. The man was an accomplished musician, having won six Juno awards between 1971 and 1975, and, with all due respect to John Fogerty's Centerfield, Connors likely wrote and performed the most famous song about a sport that the world has ever known. Artists such as Avril Lavigne, Great Big Sea, and Del Barber have covered the song, and it's been sung by thousands of fans each and every night at rinks around North America as hockey teams play the song night-in and night-out. Back in 2009, Perry Lefko asked Stompin' Tom Connors where the song ranked in terms of his own songs, and he had an interesting answer considering how well-known the song is. Q: Where does the song rank among the many you’ve written and recorded? Is it among the top five or top 10? It means so much to Canadians, but what does it mean to you? 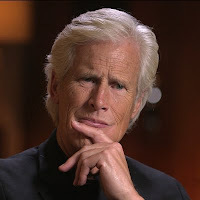 A: That's kind of a tough question because when you ask the writer... I put everything into every song that I write, so I don't know if I can say I like one song better than another. I have a lot of what I consider good songs or I wouldn't have put them on albums. I don't hold preferences like that, but it's up there with the Bud The Spuds and Sudbury Saturday Night and Tillsonburg's. It's right up there with all of them. I find it refreshing that Connors doesn't rank it ahead of more critically-acclaimed songs that he wrote, but The Hockey Song is to hockey rinks as Take Me Out to the Ballgame is to Wrigley Field. It's the musical equivalent of Roch Carrier's The Hockey Sweater. It speaks to the nostalgic way we reminisce about hockey with voices like Foster Hewitt, Danny Gallivan, and Bob Cole being the voice to our Saturday nights. It speaks to our national protectionism of the game when Connors sings about "the best game you can name". While there are few details about the ceremony to honour this great song prior to the game, we do know that Tom Connors Jr. and members of the Connors family will be presented with a plaque recognizing the song's induction to the Hall of Fame while country star Tim Hicks will perform it. I have no doubt that Hicks will ensure this is one of the best performances of his career, and I look forward to seeing The Hockey Song finally honoured by his peers. As happy as I am for this first induction, it might be time to recognize the cultural significance of the song and get it inducted into the Hockey Hall of Fame. While we wait for that to happen, let's celebrate the song and its creator in Stompin' Tom Connors with the video below. Enjoy! In the current professional sports world, relocation seems to be the only option for struggling franchises. We hear about threats of relocation whenever a team needs a new arena or stadium, but it seems a team relocated on Saturday night without anyone knowing if the graphic to the left is to be believed. 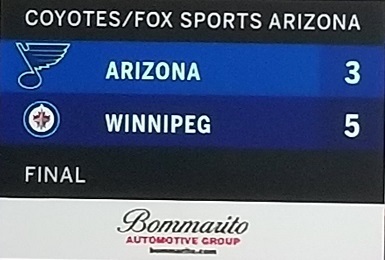 Fox Sports Arizona decided to toss up the scoreboard chyron, but I'm not certain they know that their team isn't the one based in St. Louis currently. That image was posted on Twitter by Chris Rongey. What's entirely ironic about the chyron is the NFL's Arizona Cardinals once called St. Louis home. Of course, the original Winnipeg Jets also moved to Arizona, so there was definite simpatico happening with this chyron. If one wanted to link these three cities together through relocated pro sports franchises, it seems it could be done easily! Just so we're clear, the Winnipeg Jets downed the Arizona Coyotes 5-3 this afternoon. In the evening, the St. Louis Blues defeated the Toronto Maple Leafs 4-1. Neither team - Winnipeg or the Blues - met in a game today. I'm glad we cleared that up. Now we just have to hope that Fox Sports Arizona knows which team they cover. He's the only NHL player to ever hail from the northern Manitoba town of Churchill, and it's just one of the reasons why Jordin Tootoo should be celebrated. The first Inuk to ever lace up the skates in the NHL made the announcement today in Brandon, where he played junior hockey for the WHL's Wheat Kings, that he was retiring from the NHL at the age of 35 after 13 seasons and 723 games in the highest pro circuit. To say he beat the odds in finding his way onto an NHL roster would be an understatement, but for Jordin to make the NHL when the town of Churchill has but one hockey rink is remarkable. He should be hailed as hero and an icon for the Indigenous community, and he's doing incredible work in trying to help Indigenous youth regarding mental health initiatives. Jordin Tootoo will be missed on the ice, but the work he's doing off it will perhaps have a much greater impact. "When I came to Brandon in 1999, I didn’t think of myself as an Indigenous role model, I was just a hockey player that would fight with everything I had to make the NHL," Tootoo stated in his retirement announcement. 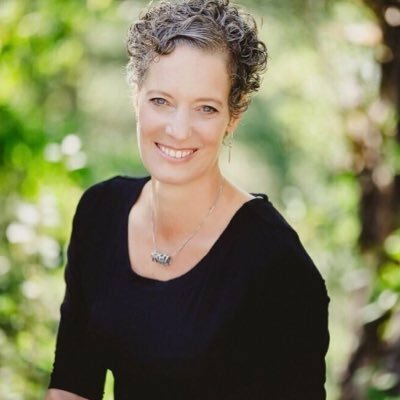 "This community embraced me and looked beyond my background and just judged me for how I played the game. And it’s pretty special and symbolic to come full circle and be back here to announce that I have retired from the NHL." 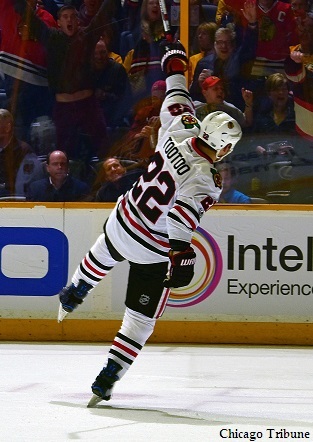 For those that may not know, Tootoo's father, Barney, is of Inuk descent while his mother, Rose, is Ukrainian. 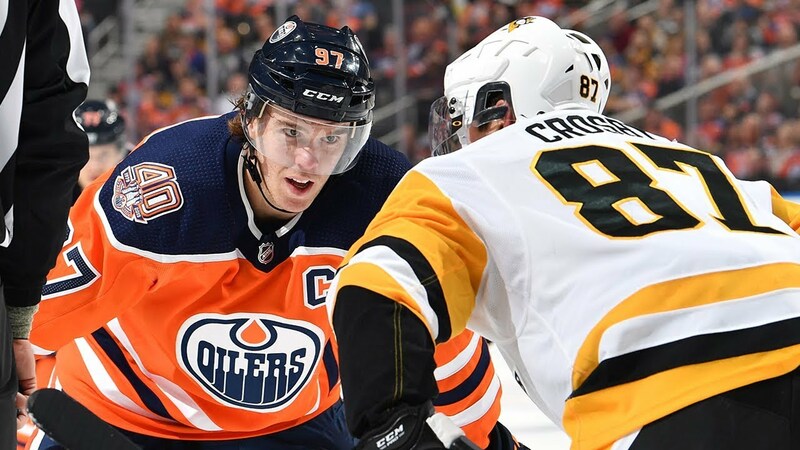 He grew up in Rankin Inlet, Nunavut where he was a good athlete, following in his older brother's footsteps as Terence was another talented hockey player. Terence and Jordin both suited up in the MJHL for the Opaskawayak Cree Nation's team known as the OCN Blizzard where they caught the eye of WHL scouts for their scoring and tenacity on the ice. Things went well for Jordin as he was drafted in the 1998 WHL Bantam Draft by the Brandon Wheat Kings. In 2001, the Nashville Predators made Jordin the first Inuk to be drafted by an NHL team when they took him 98th overall. It seemed the sky was the limit for young Jordin as his dreams would one day be realized. Things also seemed to be going extremely well for the other Tootoo brother as Terence had just completed his first season in the ECHL with the Roanoke Express where he was named the Express' Rookie of the Year. 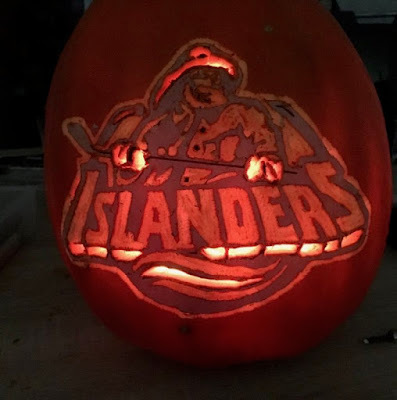 He returned to Brandon to visit Jordin at the conclusion of the 2001-02 ECHL season, and began working towards cracking the roster of the AHL's Norfolk Admirals in the fall. The summer of 2002 was a turning point for the Tootoo family. As Jordin wrote in a 2014 article on Sportsnet, he experienced the loss of his brother via suicide after Terence was caught by Brandon police for driving while intoxicated. This led Jordin into a bought of depression which he soothed his woes with alcohol and women. At first, it wasn't apparent, but it gradually got worse to the point where he was pulling all-night drinking binges in Nashville and embarrassing the club with his actions off the ice. After completing rehab, Tootoo returned to the Predators and played some inspired hockey. He was signed by the Detroit Red Wings in the summer of 2012 on a three-year, $5.7 million contract, but things in Detroit just didn't work out as both sides had hoped. Detroit bought him out, and this allowed Tootoo to sign with the New Jersey Devils in 2014. In 2016-17, Tootoo would sign in Chicago with the Blackhawks where his career would end with 65 goals, 96 assists, and 1010 penalty minutes in his 723 NHL contests. Forget the stats. Forget the cities. Jordin Tootoo has been down to the depths of hell and up to the highest points of life in his 35 years, and now he starts a new chapter. That work started in 2011 when he established the Team Tootoo Fund that helps "a wide range of charitable causes including nonprofits addressing suicide awareness and prevention, as well as those supporting youth at risk." His efforts in helping these causes prompted the New Jersey Devils to nominate Tootoo for the 2015 NHL Foundation Player Award which is given to a player who uses the core values of hockey — commitment, perseverance and teamwork — to enrich the lives of people in his community. Needless to say, Jordin Tootoo can now focus his efforts entirely on helping Indigenous youth with mental health initiatives and suicide prevention - two issues which plague the Indigenous communities of the north. Being Inuk, Tootoo can serve as a role model and mentor for a lot of kids in northern Canada, and there's hope that his efforts to reach these kids will have a lasting impact on them. From the work being done already by Tootoo, thousands of Indigenous kids have been inspired to follow Jordin's lead. I'll miss Tootoo on the ice, but it's pretty clear that he's just as effective - if not more effective - in his role off the ice. Tootoo being an NHL player allowed him to reach thousands, and that's entirely how one's celebrity status should work. Tootoo may not be remembered as an icon on the ice very often, but he's already a hero to thousands of people. Count me as one of them because I have the utmost respect for the work he's doing in northern Canada. All the best in your retirement, Jordin, and I hope a vast number of those Indigenous kids you've reached go on to follow in your footsteps to help the next generation of Indigenous youth!